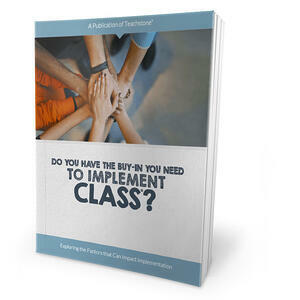 E-book: Do You Have the Buy-In You Need to Implement CLASS? Learn how to get your staff on board for change in this free e-book. How well do your colleagues understand teacher-child interactions? Are communication channels between teachers and administrators effective in your program? How does your staff's past experiences with PD programs affect readiness?